PrimeGlobal World Conferences always provide a unique opportunity to meet and build stronger relationships with your peers from more than 80 countries and most of the world’s great business centres. After the last World Conference in the wonderful Mexico City, the 2019 World Conference will offer attendees an opportunity to build on their PrimeGlobal relationships, learn important skills from across the world and enjoy one of the oldest, most beautiful cities in the world. If you are a PrimeGlobal member you must be logged in to read more about this event! We are currently working on the agenda. If you have any questions please contact Stacey Sanchez or call +1 678-417-7730, ext. 308. Find out about the last World Conference HERE. If you are a visitor please click here to find out more about our global events and contact Stacey Sanchez for more information. Follow the event on social media with #PGWC19. Rome's history spans 28 centuries. 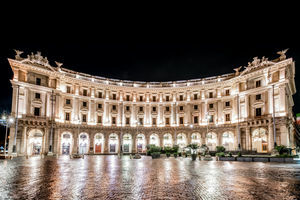 While Roman mythology dates the founding of Rome at around 753 BC, the site has been inhabited for much longer, making it one of the oldest continuously occupied sites in Europe. Today Rome has the status of a global city. In 2016, Rome ranked as the 14th-most-visited city in the world, 3rd most visited in the European Union, and the most popular tourist attraction in Italy. Its historic centre is listed by UNESCO as a World Heritage Site. Contact Stacey Sanchez for more information on the event, registration to follow shortly.